Mark Tulley Flooring provides a wide range of wood effect design flooring by Karndean. 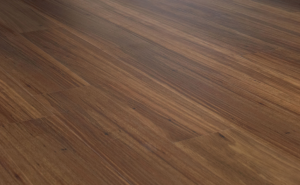 Mark Tulley Flooring have recently installed 50 sqm of Van Gogh Walnut wood planks in an open plan living space, offering and endless expanse of richly coloured flooring against a modern backdrop of open plan living. Van Gogh Walnut flooring offers quality & realism with its multi-tonal colour & textured tiles. There are many options when choosing Karndean Inspired By Wood, with a large selection of wood effects and plank sizes including parquet available (varies by range). If you wish to personalise and create a unique floor, this can be achieved by adding striking boarders and design strips to give the effect of grout. All boarders, key squares and design strips are available in a variety of colours and sizes. These design components can be used to enhance the colour scheme of your room. New Home Or Simply Re – decorating? Kitchen: the hardworking hub of your home, Karndean has everything from rustic timber effects to smooth classic marble. It’s not porous or cold to the touch, it’s easy to maintain so if you accidentally drop or spill something a quick mop should do the trick. Hallway: What better way to make a good first impression than by adding borders, design strips or by using unusual laying patterns with wood or stone effect tiles – your hallway will make the right impression. Conservatory: Traditionally built to make the most of the sun, nowadays conservatories offer vital extra space whether it’s for dining, playroom or a relaxing space to sit and read this room is utilised all year round. Karndean offers a range of over 150 floors with arrange of textures to suit all. Utility Room: This room needs to work hard; Karndean is guaranteed to last for years providing a functional good looking easy to maintain floor that can cope with the daily workload of a busy family household. Bedroom: Create a relaxing space using the natural look of Karndean wood or stone, using paler tones to add light making your bedroom a haven of relaxation. Bathroom: Add a touch of luxury with Karndean stone and marble floor or bring nature into the bathroom with Karndean wood. Easy to maintain with a quick mop to banish wet footprints or the splashing of children playing in the bath. Living Room: Usually the biggest room in the house make an impression by highlighting architectural features or make a statement by adding borders or bespoke features. This tile offers a unique Spanish Pebble design and forms part of the Karndean Iconic collection. offering a modern twist on a classic material, each 12″ x 12″ tile comes pre-formed with a wide border and corner detail composed of smaller pebbles, increasing the overall size to 15″ x 15″. Why not make a statement in your home by choosing Karndean Adalucian Opal for your Conservatory, Kitchen or Bathroom. The Michelangelo range has a 15 year residential guarantee and is easy and cost effective to clean and maintain. A weekly mop using water and a pH neutral cleaner is all that’s required to keep your floors free of dirt, Karndean tiles are resistant to staining. Hospitals and care homes carpets are a demanding sector of the market and require carpets that are resilient and easy to clean. 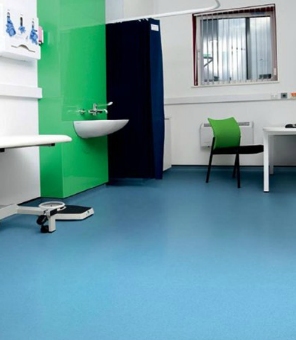 Hospi Collection is designed for use in all healthcare areas. 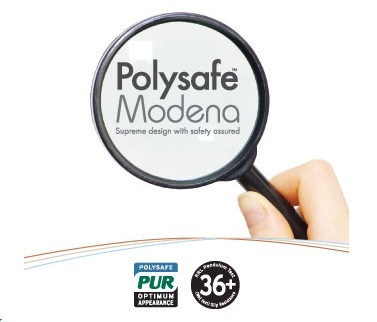 All carpets have impervious backing and are produced using 100% BCF polypropylene which is resistant to bleach and staining. The Hospi Range offer modern and traditional designs which give greater flexibility when making a selection. Office carpets: our cut pile and loop pile ranges combine functionally with style and originality and in a complimentary palette of vibrant shades. Designed to be hard wearing, high performance and suitable for any application within the commercial, corporate and office environment. School carpets need to be cost effective, whilst being extremely hard wearing and practical. Mark Tulley Flooring offer a range of fibre bonded carpet with unique patterning, designed to be pupil and student friendly. Tretford Carpet and tiles are particularly suitable as a school carpet. Installed recently in 3 adjoining rooms: Kichen, Dining Room and Hallway. 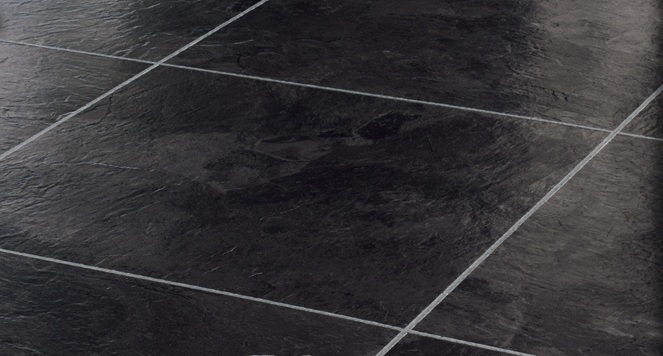 Onyx Slate is the darkest slate-inspired design in our Knight Tile range, with its midnight black and charcoal tones. The look is completed by laying on an angle with silver metallic strips to create a grout effect between tiles. By laying the tiles diagonally you can create the feeling of space in a small room or lay the tiles on a straight angle to create a linear look. 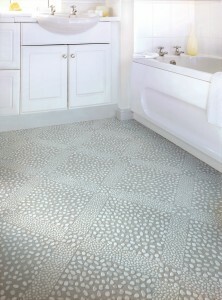 For a clean and modern look choose square tiles without a design strip for a simple background to your space. For a classic look select different stone effects in contrasting colour ways to create checkerboard tiles adding a unique look too bland spaces. Karndean Knight Tile offers the rich textures of natural stone, slate, limestone and ceramic but with a softness and warmth, unique to Design Flooring and is perfect for kitchens, bathrooms and hallways. The angled edges create definition to each tile and a range of feature strips enables you to choose a realistic ‘finishing touch’ to complete your look. Feature strips can be used to create the effect of grout between tiles or used as a keyline or tramline border or use decorative borders to customise you design floor. Karndean Design flooring is easy and cost effective to clean and maintain. A weekly mop using water and a pH neutral cleaner such as Karndean’s Routine Cleaner is all that’s required to keep your floors free of dirt and grime.Karndean vinyl tiles are resistant to staining. What’s more, unlike ceramic tile grout, Karndean grout effect design strips don’t discolour.